the fragrance and taste linger on your tongue, bringing the sweetness to your throat. This is our custom cake with our brand logo “尋茶記” stamped on the covering tissue paper. This is a unique raw pu-erh cake, made of leaves from the Fengqing large-leaf species in Yunnan. Pu-erh of this type has a strong flavor and gentle aftertaste, and while drinking it, its taste and fragrance linger on your tongue and fill your throat with their sweetness. This cake is made from trees between 300 and 600 years old grown at 2000m elevation, raised in favorable weather conditions and in an excellent natural environment for unmatched quality. 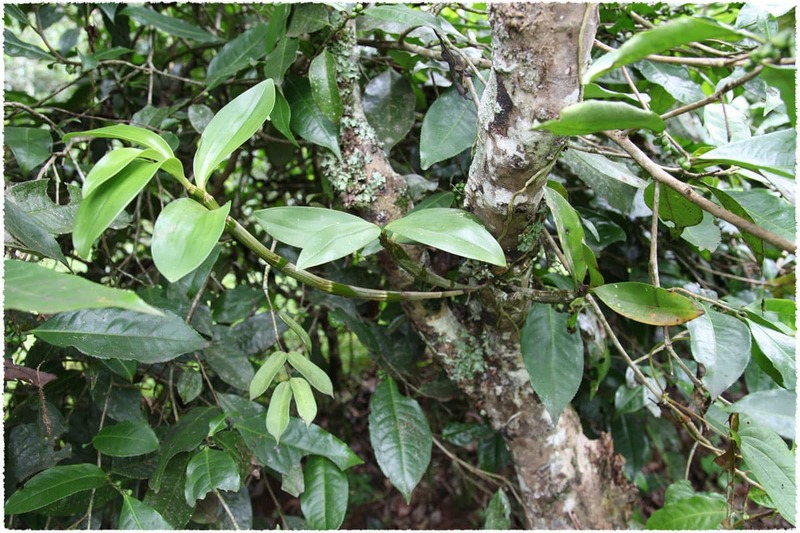 After the leaves are rolled, they are compressed into this tidy cake-shape; when you unseal the tissue paper you can see that the leaves are large and strong, and interspersed with many thick buds. Good tea is not only attractive to look at, but also worth collecting. 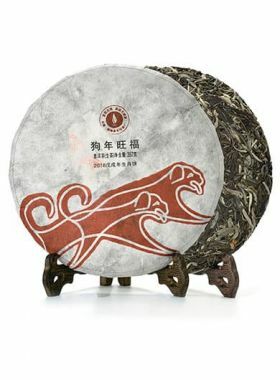 After breaking this pu-erh cake you will see that the leaves on the inside bear the same quality as those on the outside, ensuring the tea’s high quality and rich flavor. 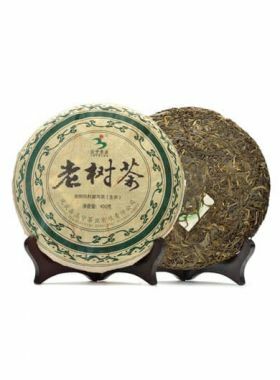 This Fengqing ancient tree raw pu-erh has a pleasant, natural aroma, with the fragrance of the fresh leaves bringing your mind to Yunnan tea gardens. Its flavor shows the pure beauty of nature. 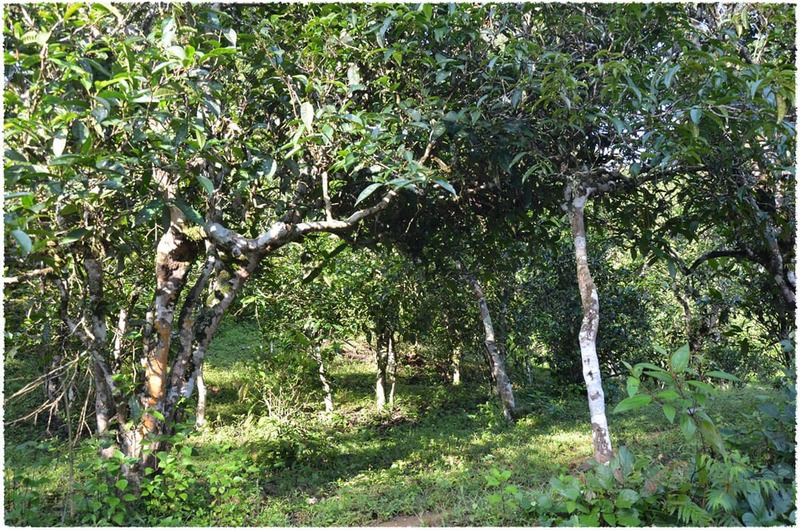 There are fifteen towns and villages in Fengqing that harbor wild and cultivated tea trees, including Xiang Zhu, Xinyuan, Dashi Village, Mengyou Village, Yongxin, and others, covering in total around 31,000 mu. 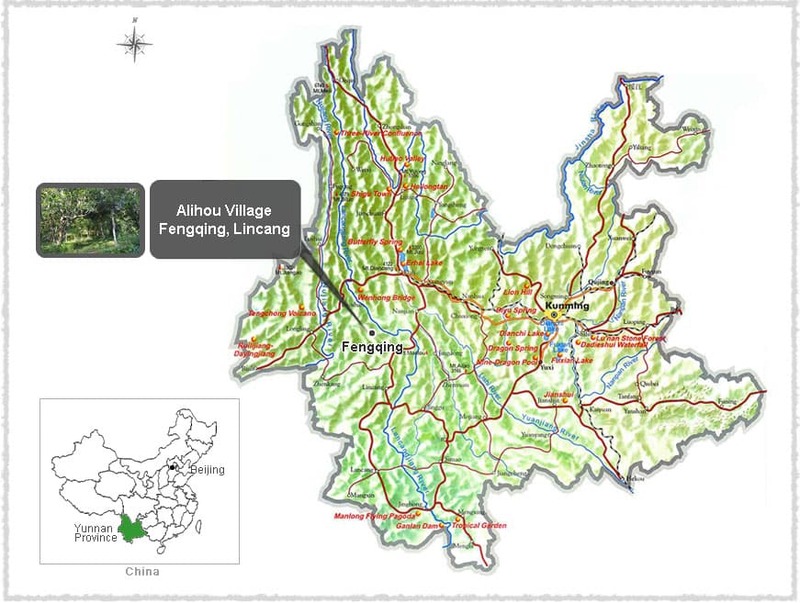 Alihou Village is located in the south of Mengyou, about 20 kilometers to the government center of Mengyou and about 60 miles out of downtown Fengqing County. The roads are made of stone and soil, making traffic here inconvenient, and the entire village covers about 20.6 square kilometers. The village sits at 1870 meters in elevation with an average annual temperature of 16℃ and an average annual rainfall of around 1300mm.